This entry was posted on April 22, 2016 by johnstanlake. It was filed under Amar sonar Bangla, Asian University for Women, Bangladesh, Bhutan, Change, Chittagong, Community, culture, Education, Experiences, Forever Changes, Friends, Love, people, Photography, south asia, South east asia, Sunset, Teaching, Travel, Travel Photography, Uncategorized, You Set The Scene and was tagged with 5 years, Bangladesh, blogging, chasing a dream, culture, dreams, education, milestones, personal narrative, Photography, south asia, Teaching, Travel, travel photography, under one sun. Great pics as always! Last one is my favorite. Keep ’em coming, bud! 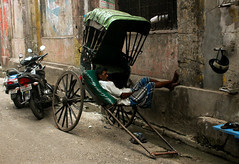 It is an interesting story of your life in Bangladesh and the pictures explain more about your love for the place. Proud of you, John! It has been fun to read your posts. Love the old school blog lay-out !! And your photos are worth to be published in National Geographic. You created your own “Your Shot” personal account already?